Hanamachi, Japanese Geisha districts, are a valuable part of Japan’s traditional culture. 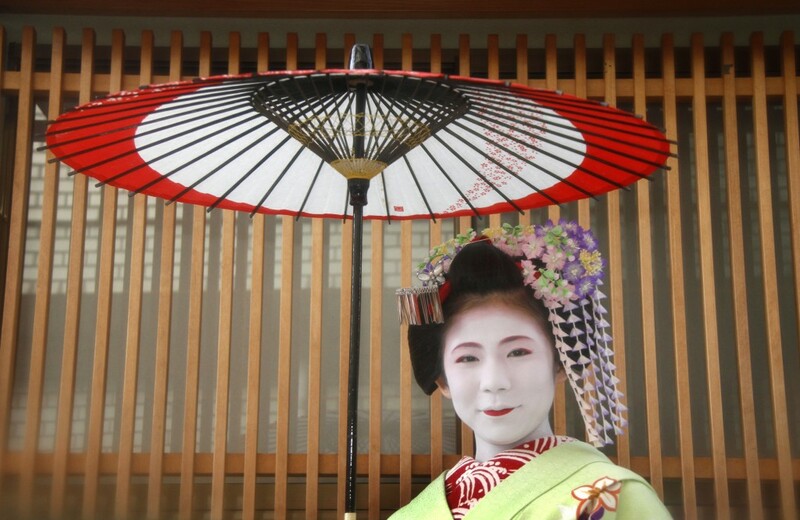 Kyoto also has its own unique culture where Hanamachi are known as kagai, and Geisha as Geiko. Young apprentice Geiko, known as Maiko, are exclusively found in Kyoto’s kagai districts. To become Maiko, young girls leave their homes and parents shortly after graduating from middle school, and travel by themselves to Kyoto. After a year of strict training in the arts, they finally start on their journey as a Maiko. For at least another 5 years, they polish their arts in order to become a fully-fledged Geiko. Let’s learn about the young Maikos’ efforts and unique charm, and enjoy Kyoto’s Kagai culture together with Maiko! Currently there are said to be around 250 Maiko and Geiko in Kyoto, of which around 70 are Maiko. We believe that by improving the societal status of Maiko and Geiko and gaining recognition of these Kagai workers as a stable occupation, we can help to increase the number of girls who aim to become Maiko and further develop Kyoto’s appeal and Japan’s traditional culture. In order to achieve this, we think it is important that people become able to encounter Maiko and Geiko anytime, and enjoy Kagai culture in a more casual and accessible way. We think this will surely result in more and more people wanting to ‘support Maiko and Geiko’. Therefore, we decided to found the ‘Kyoto & Maiko Culture Fan Club’ where people can deeply enjoy Kyoto’s Kagai culture together with Maiko. * Kagai culture (particularly its traditional art forms and hospitality) was selected as an Intangible Cultural Property in 2014. Maiko and Kagai are a valuable part of Japan’s traditional culture. After graduating from middle school, young girls leave their homes and parents and travel by themselves to Kyoto. They live in a kataya (known as okiya outside of Kyoto), a Maiko and Geiko house, as an apprentice and start their training in the arts. After a year of strict training, they finally start their journey as a Maiko. From there, they then brush-up and perfect their arts for at least 5 more years in order to become a fully-fledged Geiko. What were you like as a 2nd year middle school student? In order to become Maiko, young girls decide to completely change their lives and lifestyle when they are 2nd or 3rd year Middle school students (15 or 16 years old). From watching young Maiko putting hours and hours of hard work into polishing their skills every day, we felt compelled to show the charm of these young Maiko to as many people as possible. We asked the Maiko ‘Koume’ (due to graduate and become a Geiko in November, 2017) in September, 2012 about her training as a Maiko. Photo 1: Maiko ‘Koume’ with special hairpin and wearing a black crested haori jacket (taken November 6, 2017 by Jun Kikai). She appears in her finest clothes just before her graduation from a Maiko to a fully-fledged Geiko. 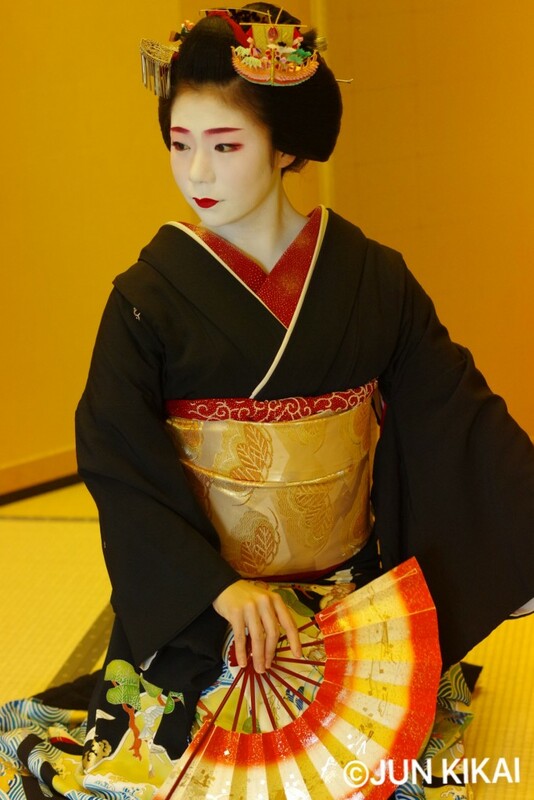 Photo 2: ‘Koume’ as a fresh-faced new Maiko (taken September 2, 2012 by Hirosh MIzobuchi). Please compare this to the photo above and see how she has grown over 5 years! Maiko are thought to exist in a far-off, unreachable world where they can’t be met without paying incredibly high sums of money. We would like to realize a world where Maiko can be casually encountered anytime so you can enjoy Kagai culture together with them, and cheer them on along with other supporters! 1)Found the ‘Kyoto & Maiko Culture Fan Club’ and carry out the following 2) - 7). 2)Assist with activities that incur a burden on Maiko and Geiko ? help selling performance tickets, creating Hanameishi business cards etc. Let’s go to watch the famous ‘Odori’ performances and enjoy meeting Maiko and Geiko. 4)Deliver information about Maiko and Geiko (in English and Japanese). We will carry out regular interviews of Maiko and Geiko. 5)Arrange social gatherings where members can meet with other members and Maiko in a casual, fun setting. 7)Recruit members from abroad and convey the charm of Maiko and Geiko to people all over the world. 1) All Maiko and Geiko have a quota of ticket they must sell for the annual ‘Odori’ events held in spring and autumn. 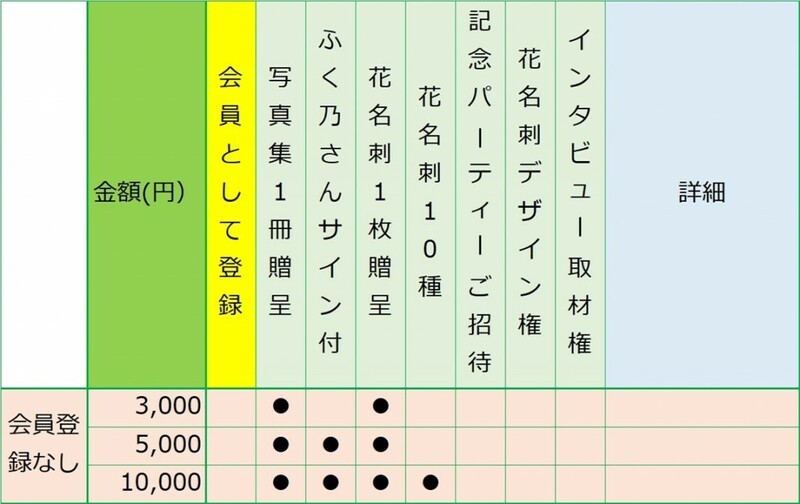 For example, at Miyagawa-cho (one of the Kagai in Kyoto), even newly-inducted Maiko have a quota of 80 tickets, each costing 4,800 JPY (around $48). 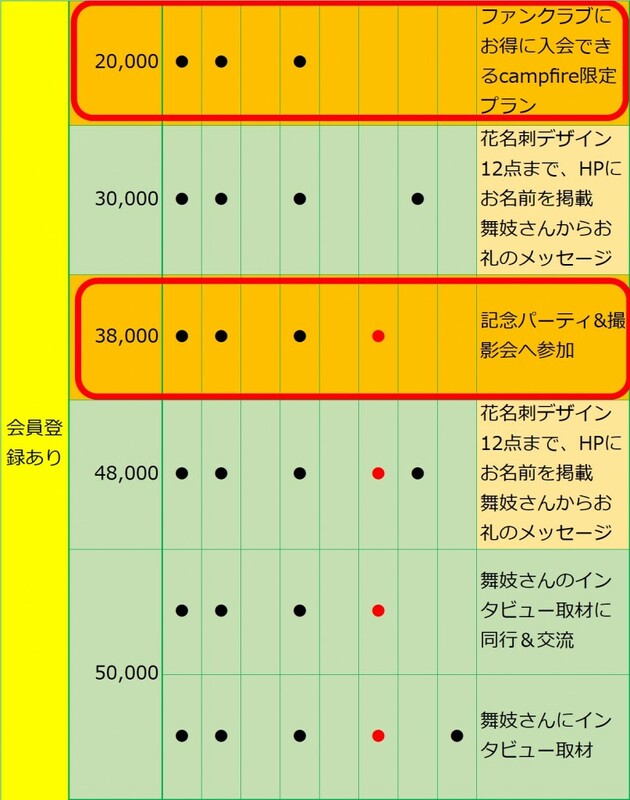 The ticket quota increases as Maiko progress through their apprenticeship (80, 120, 150, 190, 240 tickets…). 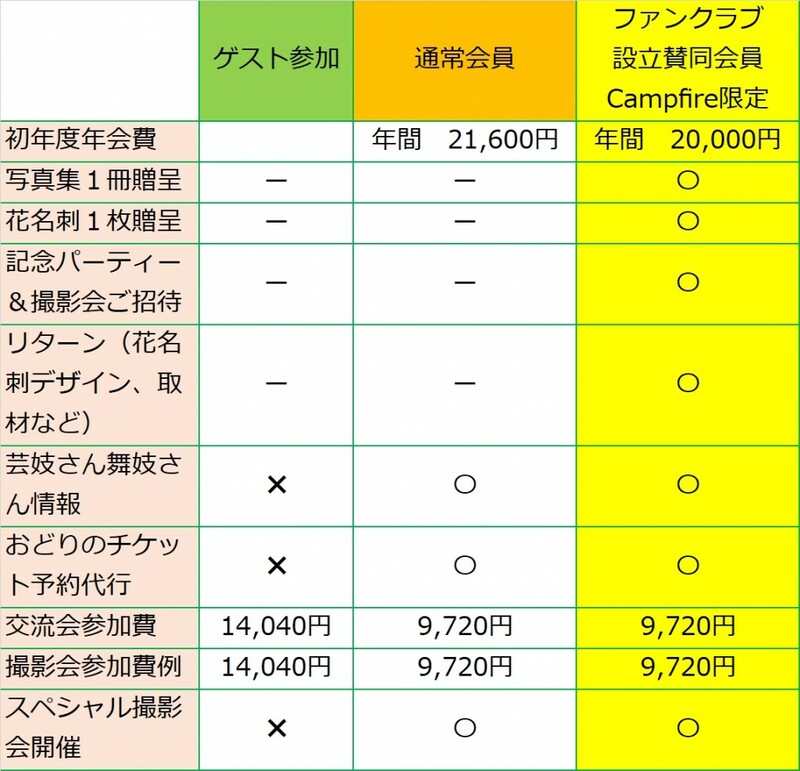 If Maiko do not sell all of their tickets directly to customers, they must cover the remaining cost of the tickets out of their own pocket. Leading up to the ‘Odori’, Maiko not only have to undergo intense preparation and practice their arts, but must also sell large numbers of tickets. This is really a very heavy burden for Maiko. In order to help Maiko out with this, even a little, we will create a system where members can nominate a Maiko or Geiko and reserve tickets from their personal quota. We can prepare comparatively good seats (limited numbers) for those who book early. We hope that a large number of people will attend and enjoy these fabulous annual ‘Odori’ performances held in the Kagai! 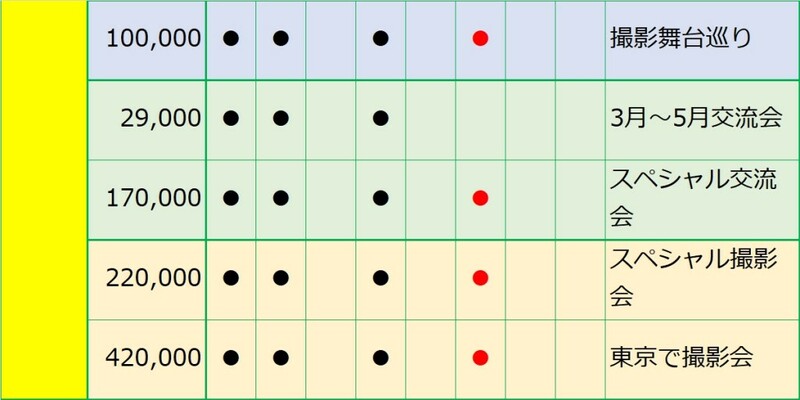 We will start with Miyagawa-cho and Gion Higashi districts, and expand this reservation system to the other Kagai in sequence. Photo 3: a nominated ticket for Kyo-odori (the odori for Miyagawa-cho) purchased from the Maiko ‘Fukuno’. 2) We will produce Hanameishi business cards and present them to Maiko. Maiko must pay their own expenses for creating Hanameshi cards (which are then handed to customers). However, Maiko do not receive a salary as they are in training. Members with skills in design will kindly create Hanameishi using open data photographs (taken during the Maiko photography sessions) and present them to the Maiko. 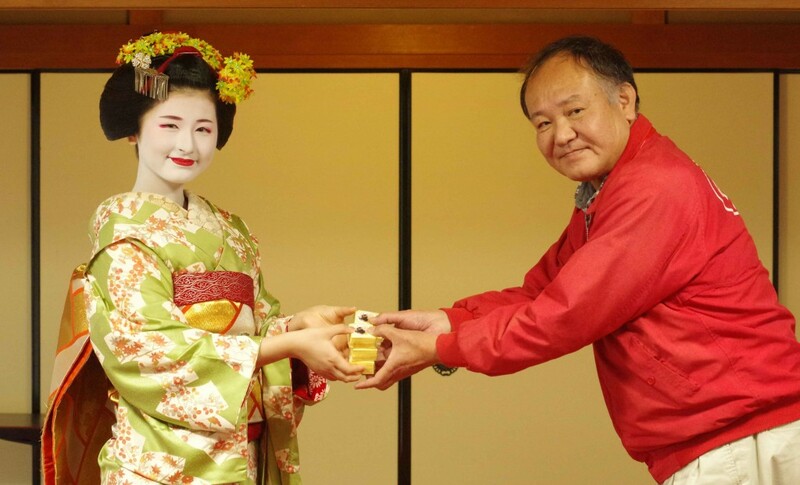 Photo 4: In the process of presenting the new Hanameishi to Maiko ‘Fukuno’. After seeing the hard-working young Maiko, we thought ‘let’s support the growth and development of Maiko’ and started holding Maiko photography sessions. We have been regularly inviting photography lovers from all over the world to Kyoto and holding “Maiko Photography Session ? Open source data photography” events. Photographs taken and checked personally by the Maiko and Geiko are distributed as open data (CC BY-SA license) on the internet to convey the appeal of Maiko and Geiko out into the world. We have created a stock of over 4,000 open data photos. 1)Publish a photo collection to convey the charm and appeal of Maiko to the masses. We have been holding monthly photo shoots of Maiko ‘Fukuno’ for over a year. 8 of the photographers (including 1 participant from abroad) will put together a photo collection showing the charming ‘Fukuno’ over this year. The photographer Jun Kikai will act as editor and create the photo collection. 2)Produce Hanameishi business cards and present them to Maiko and Geiko. Hanameishi designed using open data photographs will be presented to and used by Maiko and Geiko. 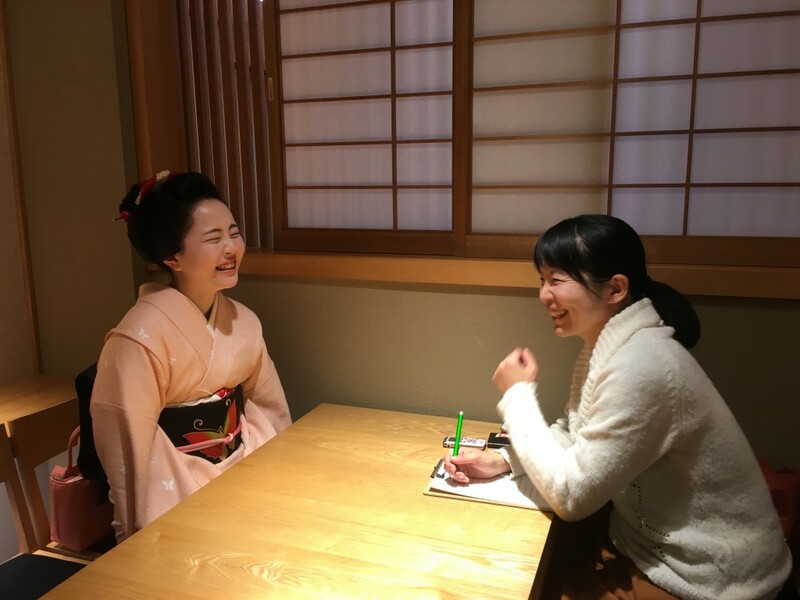 3)Carry out regular interviews of Maiko and Geiko that convey their character and personality and send out reports to members (in English and Japanese) to create a feeling of familiarity to the far-off Kagai world. Novelist Izumi Kanchiku, who lives in Kyoto, will perform the interviews and write the reports. We will initially produce one report each month, and increase the number of monthly reports as membership grows. 4)Create a home page and reservation system for performance tickets. Heley Matthews, a Cambridge University graduate who lives in Kyoto and is well-versed in Japanese traditional culture, will translate interview reports and the home page into English. We will act as proxy, exclusively for members, and reserve spring and autumn ‘Odori’ performance tickets for your nominated Maiko or Geiko. Please enjoy the fabulous annual ‘Odori’ performances held in the Kagai! When the ‘Kyoto & Maiko Culture Fan Club’ has been successfully founded thanks to everyone’s support, we will hold and invite supporters to a party to commemorate the founding and publishing of the photo collection. We are arranging for a total of 5 Maiko and Geiko (from each Kagai) to attend the party. We will arrange time for photography and shots together with the Maiko and Geiko. 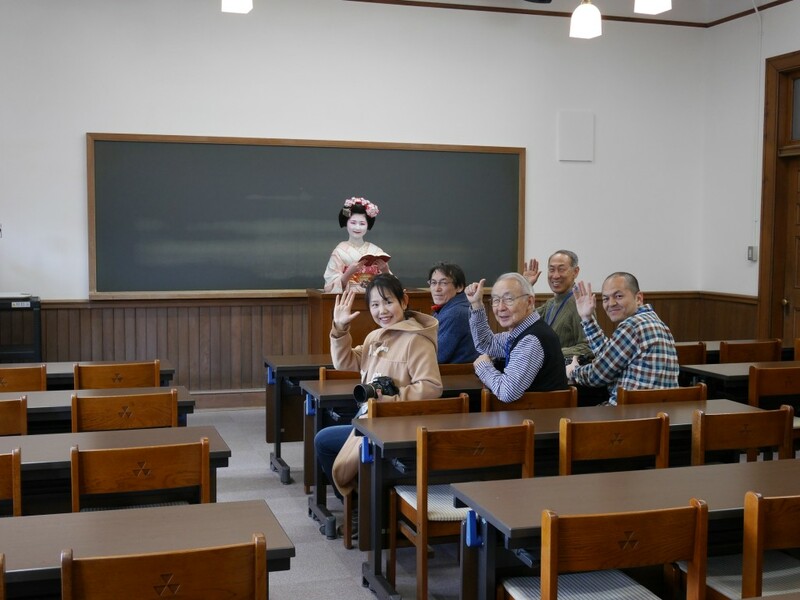 By founding the ‘Kyoto & Maiko Fan Club’, where members can enjoy Kagai culture together with Maiko, the Maiko will become a familiar presence that can be easily met anywhere. Let’s share our experiences with the Maiko and enjoy Kagai culture together! We hope that we can share our moving experiences and time with everyone. The success of this project will become a joy that can be shared by all the members who kindly support us. We are looking forward to your kind participation and support.